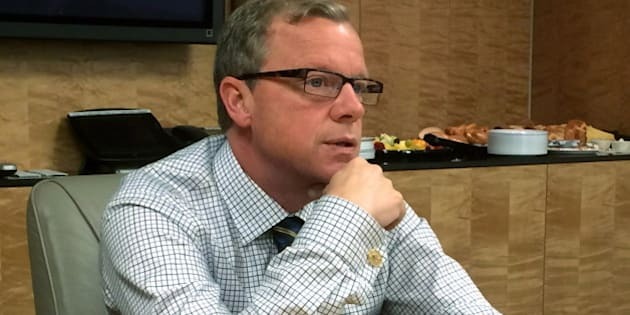 It appears Saskatchewan Premier Brad Wall's days as Canada's most popular provincial leader could be numbered. According to Angus Reid Global's latest quarterly survey on the job approval ratings of premiers, Nova Scotia's Stephen McNeil is giving Wall some real competition for the first time in years. Wall still tops the list with an approval rating of 67 per cent, virtually unchanged from the last poll in March. But McNeil boasts a rating of 66 per cent, up seven points since earlier this spring and good enough for a statistical tie with the wildly popular Prairie leader. No provincial leader has bested Wall since November 2010, when then-Newfoundland and Labrador premier Danny Williams was still in office. Interim N.L. Premier Tom Marshall sits in a tie for third overall with new Quebec Premier Philippe Couillard. Marshall has a job approval rating of 59 per cent — up 10 points since March. With numbers like those, some on The Rock may be wondering why Marshall isn't going after the leadership of Newfoundland and Labrador's governing Progressive Conservatives full-time. Frank Coleman, who was supposed to be acclaimed party leader at a convention on July 5, abruptly quit politics on Monday. Interim Alberta Premier Dave Hancock, who replaced Alison Redford in March, sits at 39 per cent. Redford's last rating earlier this spring was 23 per cent, making her the most unpopular provincial leader in the country. That dubious title now belongs to Manitoba Premier Greg Selinger, who is stuck with a dismal rating of 26 per cent, down two points from March. New Brunswick Premier David Alward, who is headed for a provincial election in September, sits at 29 per cent. Interestingly, Kathleen Wynne was fighting in the Ontario election at the time the poll was conducted. Though she received an approval rating of just 33 per cent, Wynne was rewarded with a majority government on June 12. British Columbia Premier Christy Clark sits at 37 per cent, virtually unchanged since March. The survey was conducted online among 6,318 randomly selected Canadian adults who are Angus Reid Forum panelists between June 3 and 12. The margin of error is +/- 1.2%, 19 times out of 20. Shachi Kurl of Angus Reid Global explained to The Huffington Post Canada in April that the approval rating of Prince Edward Island Premier Robert Ghiz isn't measured because the sample size for that province is too small. What do you think of these results? Are you happy with your provincial leader? Tell us in the comments.